Jiréh Breon Holder took classes at Emory while earning his degree in drama from Morehouse College. Known for exploring political themes, he returns to campus as an exciting new voice in American theater. Emory’s Department of Theater Studies and Creative Writing Program recently announced the selection of Jiréh Breon Holder as the 2016-2018 Fellow in Playwriting. One of only a few of its kind, the Emory Playwriting Fellowship provides an emerging playwright the opportunity to explore creative pursuits while engaging passionate Emory students and the Atlanta theater community at large. Known for exploring political themes and everyday life in the South, Holder comes to Emory as an exciting new voice in American theater. Lisa Paulsen, director of The Playwriting Center of Theater Emory, describes Holder's work as "at once captivating and provocative." "We are delighted to offer him an artistic and academic home at Emory for the next two years, affording him the opportunity to renew his connections to Atlanta and create his newest work within our community," Paulsen says. Holder is no stranger to Atlanta or Emory. A native of Memphis, Tennessee, he took playwriting classes at Emory while earning his BA in drama from Morehouse College. In 2011, Theater Emory became the first professional theater to stage his work. 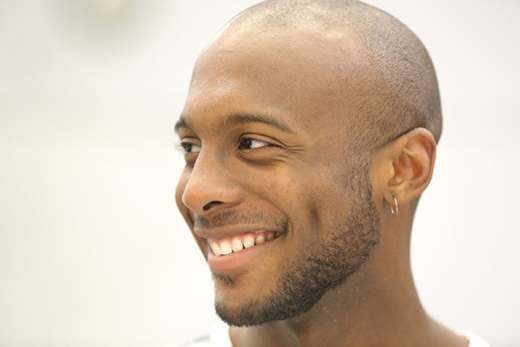 After graduating from Morehouse, Holder served as the 2012-2013 Kenny Leon Fellow at the Alliance Theatre before completing his MFA studies in playwriting at the Yale School of Drama. “Jiréh’s voice is important and original, and I love the idea of him returning to Atlanta to make theater there," says playwright and Yale faculty member Sarah Ruhl. As a joint appointment, the Playwriting Fellow contributes to both the Creative Writing and Theater Studies programs.